In this article I’ll show you exactly how to use magnesium oil for hair loss, in a way you’ve probably never heard about before – but could have a powerful effect on hair growth. I’ll discuss the benefits of using it, why and how it works, and how to use it in a homemade shampoo recipe that is designed specifically for people with hair loss. Magnesium is a mineral that is heavily presented on Earth and in our bodies. It is one of the seven macromineral that is responsible for us to function normally, including regulation of over hundreds of enzymatic reactions and biochemical activities. At any point, the normal human adult contains over 25 grams of magnesium. Most of it is found in the bones of our skeletal system, though it is used throughout the entire body. Magnesium contributes to building strong bones, maintaining normal cardiac rhythm, supporting nerve and muscle function and aiding healthy immune system. However, magnesium has one more amazing function – it may be a viable solution to stopping hair from falling out and stimulating regrowth in individuals afflicted with male-pattern baldness! It’s also one of the active ingredients in Wild Growth Hair Oil. Despite magnesium as an essential mineral, an analysis performed using the data from a 2005-2006 National Health and Nutrition Examination Survey (NHANES) found that at least half of the U.S. population across all groups had inadequate intakes of magnesium. But even though it’s present in a wide array of dark leafy greens, nuts, grains and fruits, magnesium is surprisingly poorly absorbed if consumed orally. Because of this, magnesium oil is becoming an increasingly popular and effective method of adding more magnesium into the body. The oil is a natural substance that is applied and absorbed through the pores of your skin and straight into your bloodstream. A pilot study by Watkins and Josling showed that this method of intake resulted in an average increase of over 60% in magnesium absorption at the cellular level. So why does healthy intake of magnesium matter to the hair? Many of us are aware of the potential effects of DHT and free radicals on impeding hair growth, but what about calcification? This specific mineral has shown to be a large contributor to the lack of hair growth – and it can be the reason for yours. Here is a detailed explanation of the harmful effects of calcification, its link to hair loss, and how magnesium oil can counteract these factors contribute to its regrowth. Calcification is the accumulation of calcium in an area of the body tissue where excessive calcium would not normally be present. According to the Institute of Medicine, about 99% of the calcium in your body resides in the bones and teeth, while the other 1% is present in the blood and muscle. While calcification is normal for bone formation, it is not normal elsewhere. 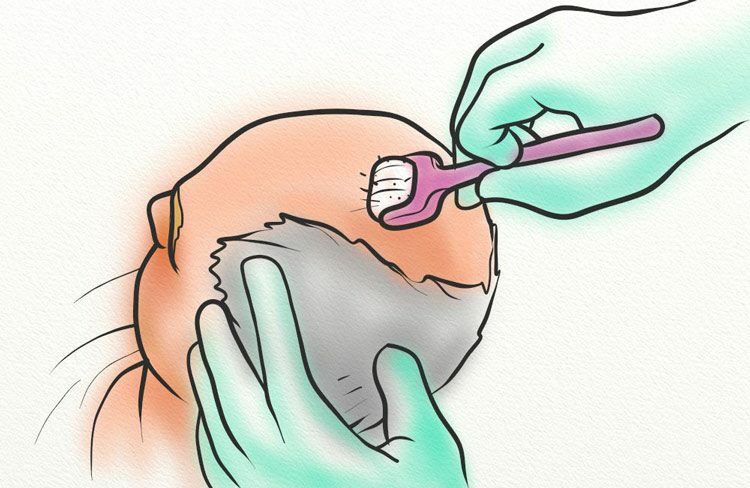 If calcification occurs in the scalp region, it will thicken the tissues. Eventually, those tissues will harden. This will not only obstruct the hair follicles from producing hair, but also affects the quality and strength of your current hair strands. There are many and all-too-common ways calcium can enter your scalp region and lead to calcification. 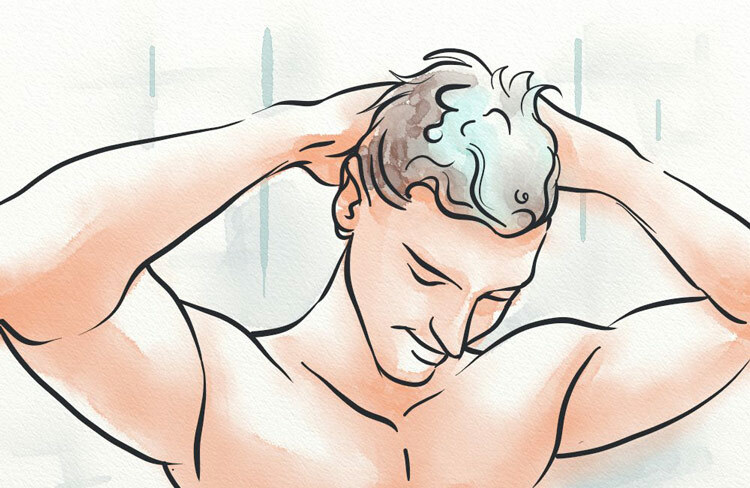 One potential source of hair loss may come from the calcium ions in your shower water, referred to as ‘hard water’. Depending on where you live, there are two main sources of the water used in our house that determine its mineral content – groundwater and surface water. Theoretically, underground water would have more calcium concentration, as this water interacts with many natural minerals found in different layers of the earth. On the other hand, surface water taken from rivers and lakes would not have as high of a mineral concentration as groundwater source. However, when surface water goes through treatment plants, chemicals such as chlorine are added to kill foreign microorganisms like bacteria. Lime, which is an inorganic material that contains calcium compound, is then added to counteract the effects of chlorine. When you shower, the calcium ion in the hard water chemically reacts with your soap and shampoo and causes a curd. This is called soap scum. 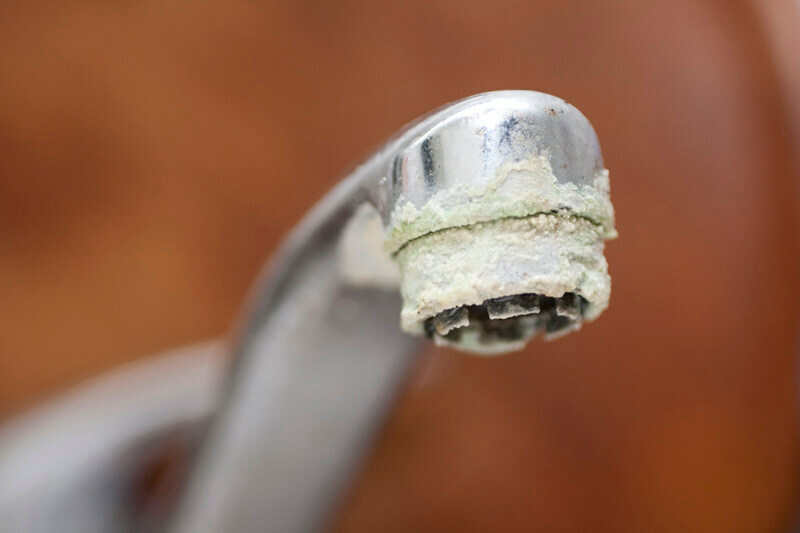 Ever noticed the white clumps and streaks that cling onto the wall of the bathroom appliances? That same film is also clinging onto your skin and scalp. This causes problem for your hair in several ways. First, the calcium salt deposits dry out the scalp, which is further intensified from the chemicals in commercial shampoo. This causes the dry and itchy scalp to become scaly and start flaking off, thus the formation of dandruff. A study performed by Pierard-Franchimont et al. looked at 8 men with scalp conditions and examined each subject at regular intervals for five consecutive years. The hairs associated with the dandruff-affected area were taken and tested. The researchers found that the presence of dandruff is positively correlated with the shedding of the hair and further exacerbated alopecia. Second, the calcium particles can enter into the pores of our hair follicles and cause existing hair to break off from its shaft. 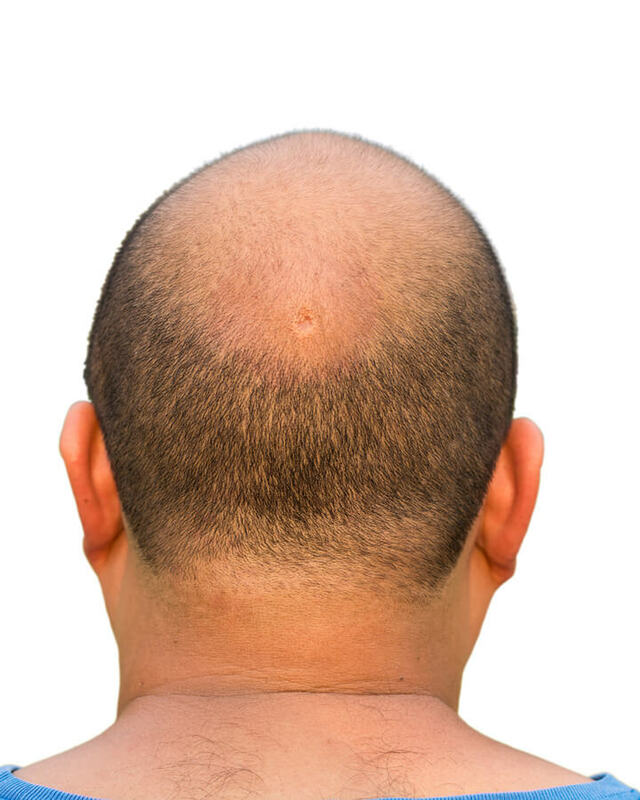 As it continues to occupy the follicle space, it will constrict the blood flow and block the hair from growing. This is especially aggravated by the fact that we normally shower with hot water, which will enlarge the pores of the scalp and introduce more calcium deposits. Third, it decreases the strength and integrity of the hair. A recent study used two water samples – one with the most degree of hardness and another that is stripped of all mineral ion contents. Hair samples taken from 75 male individuals, with each sample divided into two halves, are then separately tested with hard water and distilled water. Analysis of the result showed that the tensile strength of the hair that is treated with hard water was significantly weaker than the hair treated with the de-ionized water. The possible scientific explanation for this conclusion is that these metal ions, including calcium, are generally ‘positivity charged’, which means that they have lost one or more electrons. Hair, on the other hand, is normally negatively charged, or one or more extra electrons. These positively charged minerals attach itself to the negatively charged hair, slowly resulting in dry and heavier hair strands. Eventually, it may break off. This is terrible news if there are barely enough hair on the head as it is! Inflammation has been identified as a large culprit for many individuals with hair loss. When there is local tissue damage, the cells trigger signals that start a series of cellular actions to attempt to heal the injury and defend the site from infections. Inflammation is a natural defense mechanism, but inflammation that lasts for a long time (aka chronic inflammation) is not normal. Many studies, including this one conducted by Magro et al, have shown that chronic inflammation eventually leads to the death of your cells in the scalp, resulting in hair falling out and poor regrowth thereafter. This problem can be further aggravated when there is too much calcium in blood circulation. Let say you have chronic inflammation at the vessels located in your scalp. Over time, as your body continues to fend off foreign particles from the site of the inflammation, it will accumulate fat, platelets, cholesterol and calcium that are present in the blood. Eventually, calcification will lead to the formation of a plaque. This will ultimately constrict normal blood flow to the scalp. Excess calcium in the bloodstream can be caused when calcium from the bones move into the bloodstream. The more calcium that is present in the blood, the more accumulation of calcium at the inflammation site. Bigger plaques will leave your hair follicles to suffer, amongst other health issues. Even if the extra calcium never makes it to the inflammation site, too much calcium in the bloodstream can be dropped off in the hair follicles of the body’s tissue and causing calcification. Consider, for example, this study. The researchers took rats that were in hypercalcemic conditions (excessive calcium level in the blood) and subjected them to mild injuries on the skin. They found that after 3 hours from the injury, there was a rise in the calcium content of the follicles in the tissues. Overall, the combination of chronic inflammation and calcium build up in the scalp will result in reduced blood flow to the hair follicles, effectively limiting the removal of free radicals, DHT and other build up of waste products. This also affects the amount of nutrition that can reach and nourish the hair follicles, which we’ll need in order for healthy hair to grow. Luckily, magnesium oil can address all these problems associated with alopecia. Magnesium oil applied on the scalp has the benefit of nourishing the tissues, which reduces problems related to dandruff. It also can enter the pores and dissolve the calcium ions that are blocking the hair follicles. Magnesium plays a huge role in regulating the calcium imbalance. Magnesium is essential for the production and use of energy in the body. Cells with extra energy can accomplish many things, which include pumping excess calcium out from the cells of the scalp. Magnesium can aid in removing excess calcium from the bloodstream. It does this by stimulating a hormone called calcitonin, which helps regulate the level of calcium by encouraging it to stay in the bones and away from the scalp. Magnesium also converts Vitamin D into an active form that helps absorb calcium. A study by Kircelli et al found magnesium’s amazing effect on calcification in the blood vessels. The researchers did a series of tests that involved adding magnesium in cell cultures that have been calcified. Results showed that increasing magnesium concentration caused a decrease, and even stopped the progression, of calcium deposits on the vessel walls. After a while, additional magnesium even led to the reversal of calcification. This means that magnesium oil can promote blood flow going in and out of the scalp, bringing essential nutrients and removing harmful waste from the hair follicles! The same study by Kircelli et al also revealed magnesium’s ability to prevent cell death due to stimulation of these calcium-sensing receptors (CaSR) on the cells. These receptors led to the restoring number of healthy cells and decreasing number of damaged cells, which translates growth to the hair cells. Magnesium is also a powerful anti-inflammatory mineral. A study from the Women’s National Health Initiative Observational Study (WHI-OS) that involved data collected from 3,713 postmenopausal women across all multiethnic groups showed that subjects who had a regular intake of magnesium had decreased indicators of inflammation. While DHT plays a large role in male-pattern hair loss, researchers have recently pinpointed another potential cause: calcification. Calcium is a mineral that accounts for 1 to 2 percent of adult human body weight. Over 99% of the body’s calcium resides in the teeth and bones, though it can be found in trace amounts throughout the body (particularly, in blood and muscle). Calcification is a process where calcium accumulates in body tissues. In bone, this is natural and necessary; however, when this occurs in other tissues, such as the scalp, issues can arise. Essentially, calcification hardens tissue. This is why it’s necessary in bone formations, but it can lead to toughening of the skin and other tissues where calcification isn’t natural. In the scalp, this can lead to thickening of the skin to the point where hair follicles can no longer produce hair. It can also impact the quality of hair that is already present on your scalp. There are a number of reasons why this happens to some individuals and not others. Two common causes are the use of hard water and calcium deposits. So, what’s the answer to combatting calcification of the scalp? Magnesium. Magnesium chloride, also referred to as magnesium oil, is a chemical compound that is a known calcium combatant. This compound not only slows calcium production, but it also breaks down calcium deposits throughout the body (including blood vessels). The best way to improve magnesium levels and reduce calcium is to apply the compound transdermally (through the skin). 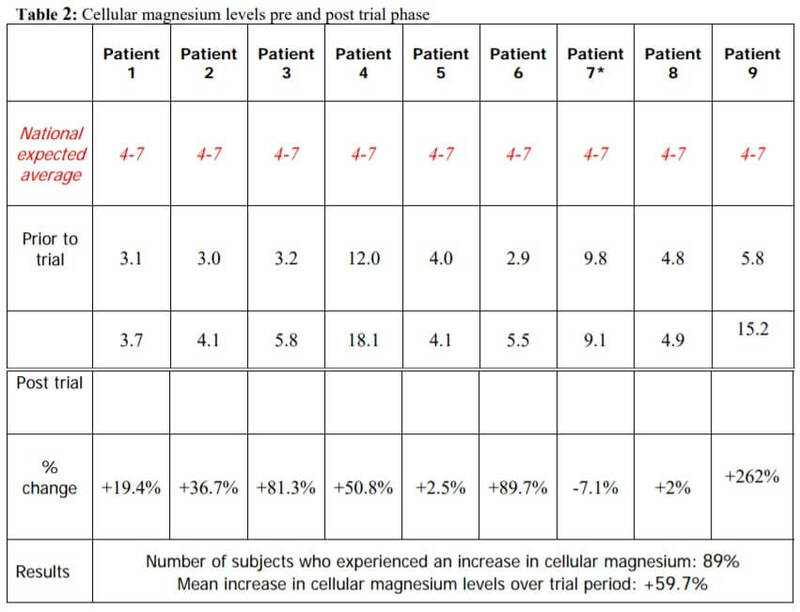 In fact, a small scale-study (2 men and 7 women) tested the impact that transdermal application of magnesium chloride had on cellular magnesium levels and the results were favorable. But what does this increase in magnesium levels mean for hair loss sufferers? As mentioned, magnesium breaks down calcification and improves blood circulation (through dilation of the blood vessels). With increased magnesium levels, blood flow to the follicles will increase. This will improve delivery of essential substances – such as oxygen and nutrients – and support the growth of healthy, strong hair. You can directly apply the oil onto the scalp after your shower. Be sure to have your scalp completely free of any other oils or lotions, as this will interfere with the magnesium oil. Massage the oil into the scalp thoroughly for at least 10 minutes, as this will promote blood flow and create better absorption. Leave the magnesium oil on for at least 30 minutes before washing or wiping it off. One fluid ounce (30 ml) should be enough for an adult, which will deliver approximately 2400 mg of the magnesium directly. I highly recommend massaging in the oil at least a few times a week, though it might accelerate the results if you apply it every day. It is common to experience a tingling and itching sensation initially from the oil, which should eventually disappear. If you have sensitive skin, dab a diluted form of the oil to test before applying a thicker coating. Depending on various conditions, including the body’s initial composition in calcium/magnesium ratio, it may take as little as a few weeks to as much as a couple of years to start seeing results. However, many people have reported amazing outcomes from regular use, with noticeably less hair falling out and more luscious growth in stubborn areas. There are several forms in which magnesium oil can exist as. If in doubt, magnesium chloride, which are the ones found on the seabed, is a good choice. If possible, look for the ones in spray bottles, which will help evenly distribute the liquid over a larger surface area. Cool down completely before transferring it to a spray bottle. The best way to use magnesium oil to regrow your hair is with a homemade hair tonic that you rub on your scalp. However, to make this even more effective, first you’ll want to stimulate your scalp using a dermaroller. The dermaroller is a small metal roller with metal pins attached. As you roll it over the skin the tiny metal pins penetrate the skin causing mild damage to the skin cells. 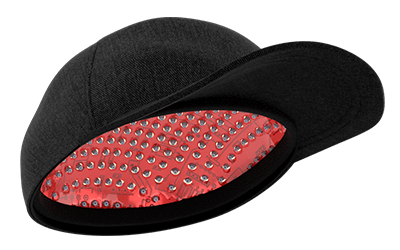 The cells react by boosting circulation and increasing cell production to the affected area. 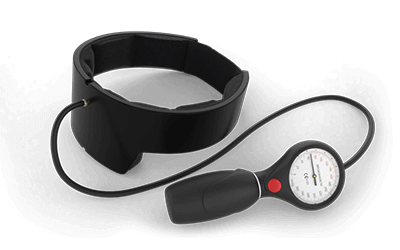 This stimulation of cell growth and blood circulation has the effect of stimulating hair growth as well, when used along the hairline where hair follicles have been miniaturised by DHT. Once the scalp has been stimulated by the tiny pricks then you’ll want to rub the mixture containing magnesium oil onto your scalp. But make sure you wait at least 3 hours between using the dermaroller and the tonic. This special mixture (scalp elixir) that you rub on your scalp contains essential ingredients that stimulate hair growth directly. These ingredients when mixed together form a powerful hair growth mixture which is posted by the effects of the magnesium oil. In addition to using magnesium oil in the elixir you should also add a good magnesium supplement to your diet. This will help with the decalcification process even more. Most people are deficient in magnesium anyway so it will be good for your overall health and hair health to take a supplement. If you take a magnesium supplement just before bed then it will help with restful sleep, which can reduce stress and tiredness (which contributes to hair loss). There are a few different types of magnesium supplement available, but magnesium-orotate and magnesium chloride are the best forms to take. Take around 300mg per day before bedtime during the months when you are using the peel, dermaroller and elixir method. Here’s a great shampoo recipes that you can make at home which is extremely beneficial for hair loss. It will gently clean the scalp and hair without striping away essential oils or using harsh chemicals. Boil the water and steep the rosemary bunch until the water is cooled, then strain and throw away the rosemary. Add the other ingredients to the rosemary tea in a container and shake well. Apply to wet hair and rinse out thoroughly. The vinegar in combination with the tea tree oil works wonders for any itchy scalps, minoxidil can be a cause of this, or any dandruff as they heal and cleanse the scalp. Remember though, diet comes first when it comes to the health of your scalp, whether that’s dryness or too much oil, your diet is the root cause. Grapeseed oil (used effectively to treat alopecia areata) and the rosemary tea add moisture and sooth flakiness. Tea tree oil contains eucalyptol, which is a powerful antiseptic and antiviral, it is also a great choice to stimulate hair growth by increasing the amount of blood flowing to the hair follicles. You can learn how apple cider vinegar can be used for hair loss here. If you aren’t already using scalp massages in your daily hair care routine, you should be! Scalp massage is the mechanical stimulation of the scalp using either your fingers, or a specialized massage tool. It helps to gently stretch the skin and hair follicles, which stimulates blood flow to the area and improves elasticity. 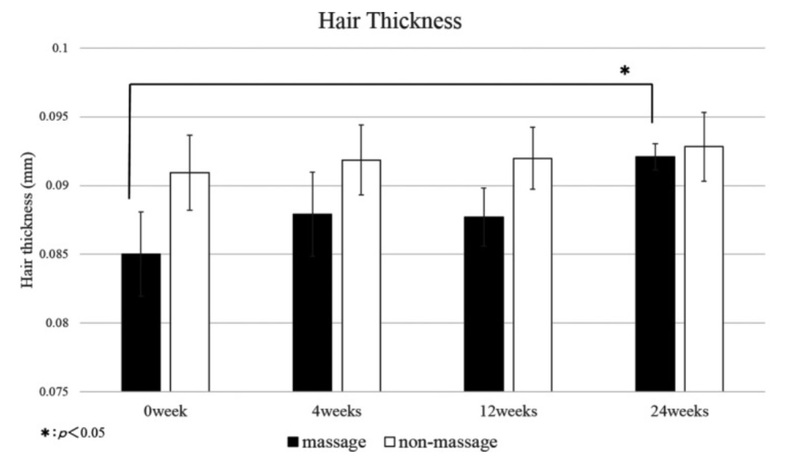 In 2016, researchers from Hong Kong studied the effects of scalp massage on nine men. Their goal was to understand what role, if any, massage had on hair density and thickness. The researchers determined that the cause of these results was the mechanical stress applied to the Dermal Papilla Cells (DPCs). 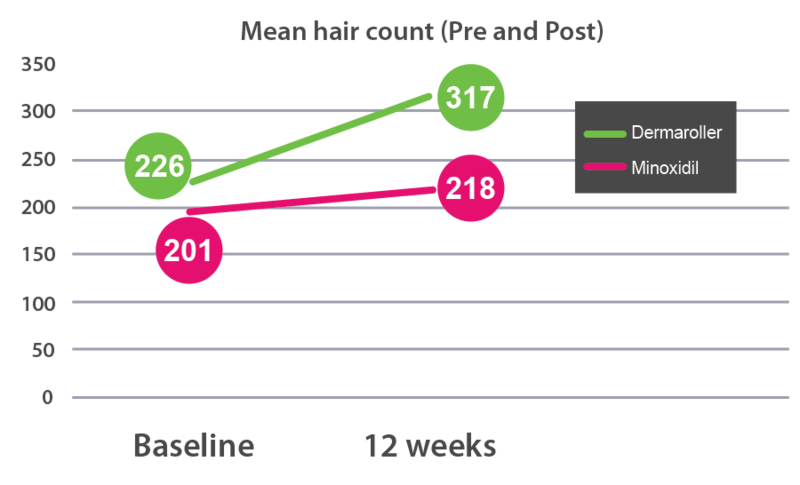 This stress induced gene expression within the DPCs, some of which were linked to hair growth. Fortunately, the technique is simple and it can be performed anywhere and at anytime. Using your thumb, middle, and index fingers, place each hand on the sides of your scalp. Apply gentle pressure, and begin to move your fingers in a circular motion. Continue these movements on the sides of your scalp for 1 – 2 minutes, and then slowly make your way towards the crown. Continue on the crown for 1 – 2 minutes, and then move towards the hairline. Begin at the center, and slowly work out to the sides (temples). You can go back and forth between the center and temples for 1 – 2 minutes, and then return to the sides of the scalp. Finally, bring your hands to the back of the scalp. As you perform this technique, you can always backtrack to previous areas if you’d like. You can do this in addition to using the magnesium oil shampoo, or rub magnesium oil into your fingertips and massage it into your scalp during the process. Scalp massages aren’t the only way to increase blood flow to the scalp. Another way to do so with with microneedling. Microneedling is a technique that involves the use of a specialized tool (such as a dermaroller or dermastamp). These tools contain tiny needles which are pressed into the scalp to induce wounding. This can aid in the production of new skin cells, as well as the development of collagen. If you’d like to add microneedling into your routine, here’s how. First, you’ll need to choose a tool. The two most popular are the dermaroller and the dermastamp. The dermaroller is used by most scientists in their research, and it’s perhaps the best known microneedling tool. Just be aware that the roller can increase your risk of injury. The dermaroller is contains needles placed on a rolling pin. You roll these over the scalp, and the needles puncture as you go along. If not careful, this can dislodge nearby hairs, and it may even penetrate too deeply. This is why I recommend =the dermastamp. This tool uses needles placed on a rectangular block at the end of a handle. You place it against your scalp and press down lightly to initiate the process. You may experience a bit of discomfort, but the process should never be painful. If it is, you’re either using a needle too large or are applying too much pressure. To begin, I recommend cleansing the scalp with a salicylic acid peel which will remove any layer of build up that’s present. Next, using the tool of your choice, apply it to the area of hair thinning and apply pressure. If you’re using a roller, roll over the area in different directions (horizontal, vertical, and diagonal) four to five times. If using the stamp, place the tool in different directions upon each pressing. Repeat this on all areas of hair loss. You should then clean the tool (using an antibacterial wash and boiling water) so it’s ready for your next session. So, where does the magnesium oil come in? If you want to boost the efficacy of magnesium oil, I recommend applying it 8 – 12 hours after your microneedling session. This will give your scalp time to heal, but the wounds will still be delicate enough where oil can easily penetrate. Magnesium oil can be a powerful (and underused) product to combat hair loss if it’s used in the right way. I highly recommend adding it to your homemade shampoo (please stop using commercial shampoos) and using it in the hair tonic. I been using magnesium oil from Asutra that I got on Amazon and it has just been life changing. I have tried all types of brands and Asutra Magnesium Oil is probably the best I have use. It has really helped me with a lot of my issues (pain, cramps, etc) I suggest everyone try magnesium oil! 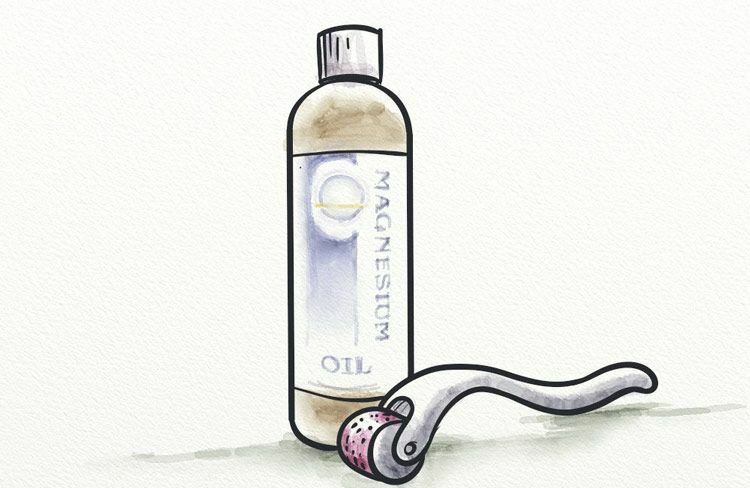 I’ve been using homemade magnesium oil (as described in this article) on my scalp, eyebrows, and hair. My eyebrows and temple hair are darker in color after using about a month, and my eyebrows have grown quickly and filled out. Also, the oil massaged into my scalp and all the hair hair makes my hair much shinier and more vibrant, even after I wash out the oil. I rub in the oil before I shower, not after, as described here, as I don’t want to shower twice. This is a great hair product and its benefits are little known! Hi Sally, thanks for sharing your experience. Yes I’m also a big fan of magnesium oil. Have you tried mixing in a little essential oils such as peppermint and rosemary? It makes it smell amazing, and also boosts it’s hair growing power. See here and here. Hi Will, thank you for writing this great article. I was reading this site 1 month ago and noticed that you mentioned trying magnesium oil, peppermint oil and rosemary oil mixed together and applied to the hairline every night. Well I started doing that (I also used the dermaroller once a week) and although the results haven’t been dramatic the hairs do look more healthy than usual, and they also look a bit stronger. The scalp also feels better. I would recommend it to anybody reading this who is worried about their hairline receding because you can really apply the mixture directly to the scalp along the hairline. The only thing is you must wash it out in the morning (with cool water) otherwise your hair looks oily. I look forward to continueing with the mixture for the next 6 months and seeing how it goes. Hi Mark, thanks for your thoughtful comment. Yes that’s a great way to use the oil. The peppermint and rosemary mixture add their own unique benefits. Keep it up and let us know your results in 6 months time. 11 Moths later, how are your results? In Hair Equilibrium you mention using magnesium oil in a slightly different way to how you use it here. Which one do you actually recommend? Hi Jacob, please use the instructions in Hair Equilibrium as your primary resource. And I’m glad to hear you’re having good results, keep it up! Good to know about this, many are unaware about magnesium oil. Can i use magnesium oil and minoxidil together? I apply minoxidil after i take shower. I do not want to stop it. I think it would be okay to use them together, at separate times of the day though, since I’m not sure if they are stable when mixed together. I apologize if you have an article on this, but when using the dermaroller, do I roll only on the hairline? That is where im receding/thinning the most and I have heard from others not to use the roller on the rest of your scalp as it can pull hairs out. Can you please advise? Hi Matt, this is a good point. I now recommend using a dermastamp, rather than a roller. This stops the problem of pulling out hairs, so you can apply it to the entire scalp. Even if you were just trying to regrow the hairline I would recommend using the dermastamp over most of the scalp (and you can spend longer on the hairline) because stimulating blood flow to the entire scalp will help the hairline. I recommend 1mm dermastamp. Thank Will! you’re doing great work with this site. Hi, which derma stamp do you suggest ? Normal or electric. If you put the link of the derma stamp you use would be great! About the elixir what is the percentage of magnesium oil , peppermint oil and rosemary oil? Hi Eddy, I recommend the 1mm, normal dermastamp. We will soon have our own stamps available in the shop. For the mixture of the oils I would recommend checking out our Gro2 product, since everything is done for you. We will have an adjustable stamp available soon, so you can change the needle size to suit your needs. This is perfect because on parts of the scalp where the skin is thin it can be painful to use a too long length, but on other parts of the scalp more than 1mm is necessary. So being able to easily and quickly adjust the length is very useful. Coming soon! I recently discovered this theoretical approach in hair loss and I started to massage my scalp, 20 minutes daily. I read it under name “detumesence massage”, originally by dr. Choy, and according to him, massage should be harsh in order to have impact on dormant follicules. Problem is that it is not possible to find description of the message nowhere on web. It has been a week since I am doing it and I have feel pain afterwards and I am affraid to trigger the inflammation. I remember I had pain in scalp when my problems with hair just occured so I an affraid that I will do more harm right now. What do you think about this? Is it good to feel sorred afterwards or not? I am using Mg oil and oil with rosemary as well, but without dermaroller. Also, somewhere I read that calcitication its not connected with the Ca levels in blood, while somewhere, they advice supplements to get rid If calcification. I am confused. Shouldnt we take vitamin K or D, to help to resolve it? Thank you very much for your time and answer in advance! Calcification may not be caused so much by Ca levels but levels of other vital minerals such as magnesium. A deficiency in magnesium may cause the calcium to start forming deposits. This is why we use magnesium oil, because it helps correct this via the transdermal pathway. I also take a magnesium supplement. This is also the reason I do recommend supplementing with Vitamin K2 and D3, because it helps reduce the calcification. 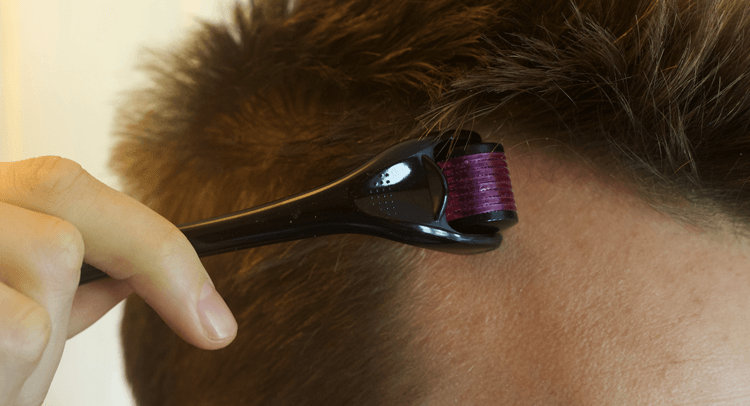 You might also want to consider using a dermaroller (although I prefer to use a stamp instead of a roller) to help with the process of reestablishing blood flow to the scalp again. It works well along with the massages. Dear Will! Thank you very much for such a fast reply and information provided, I really appreciate. It is good to know that I am on a right path. I will take into cinsideration supplementin with K vitamin (already taking D and A) and getting dermaroller, last night I read your articles here and realized that rate of success was much higher when using roller/stamp, rather than solely hands. Reason why am I using Ca supplements is that they keep the prolactine leveles in control. In my case, they have tendency to be a bit over the referent values and there is an connection among prolactine levels and sebum production, which is my second problem, so I wanted to address this by supplements. This can maybe help someone else too. I am happy to hear that levels in blood are not that much connected with build ups. Also, based on your article about kreatinin, I believe I should ditch my protein powder? I was vegetarian for some time and my protein intake was low, but I dont think this would be a good idea anymore. Sorry for my clumsy English and greetings from Europe! Best regards! What protein powder are you using? I would recommend a natural source of protein such as hemp protein powder, rather than whey. I was using whey proteins (ISO muscle 94). Thank you for the hemp recommendations! I also bought dernaroller – 1.5mm, hope it will be a good one. I plan to use it once per week. I my self am suffering from severe hair loss,but to answer your questions as a medical student-basically in calcium deficiency the hormone parathyroid causes calcium to release from bones and thus increases the calcium blood levels and it is during this altered hormonal balance that increased blood calcium gets deposited in extraskeletal areas like heart valves and your hair follicles. With calcium and magnesium supplementation this deficiency is reversed and there is increased deposition of calcium in the bones where it belongs mostly. Magnesium does this by decreasing pth and increasing calcitonin. Preeti, Wow!!! You do not know how much this has helped me. Last summer, my blood test revealed that I was dumping calcium into the blood stream. I had no idea why or what to do. I then read your post and now it makes sense. I will begin supplementing with Magnesium Orotate. Thank you and God bless!! So you recommend a topical magnesium AND taking a magnesium supplement? Why not just topically? Should I be applying this before bed? It’s up to you and how deficient you think you are. Topically is a very good option, since transdermal absorption is efficient: http://www.cnelm.com/NutritionPractitioner/Issues/Issue_11_1/Articles/7%20Transdermal%20Mg%20revised2.pdf Applying it to the scalp before bed is a good way to go, since it can make the hair appear a little greasy if you leave it on during the day. hey will, is it ok to use the roller everyday ? It’s recommended to dermaroll no more than twice per week (ideally, at least six days between sessions). Otherwise, the scalp will not have time to heal. Some of the oils I would like to use are rosemary oil, peppermint oil, pumpkin oil, and now that I’ve read about magnesium oil, I would like to use that too. Can I mix all those oils together to make 1 serum instead of applying each one individually throughout the day? That would seem very time-consuming. And if I can mix all these oils together, would they have the same effect, whereas, someone using them individually? Hi Mike, yes mixing them together would be fine and much more convenient. Hi. Your site is awesome, nice work. I have been doing a few things you guys mention here. Lots of supplements that hopefully will work from the inside out. I have been on a selection for roughly 3 months. In the last month I have noticed increased shedding from around 10-20 hairs in the shower to around 40-50. So my question is this – Can shedding occur or increase from the natural approach? Or is this just likely my hair just shedding because I am loosing it and would have happened so anyway? It is possible for an increase in shedding to occur when you alter your hair care routine. This is especially true when the change is made to stimulate hair growth. This increase should cease after about six weeks. Hi Emilia, they are fine being mixed. That’s what I used to use. Now (mostly just because it’s simpler) I just use ACV. Here’s my article about apple cider vinegar. I don’t doubt the many benefits of magnesium and in fact reading this has prompted me to buy some; and I understand that magnesium oil derived from chloride isn’t like an ordinary salt /water solution, but nevertheless isn’t it drying to scalp and hair? Also, i recall when I last used magnesium oil ( long time ago!) on my skin it did feel rough when it dried ? Isn’t there a danger of damaging fragile, baby fine new hairs by massaging it into scalp for ten minutes? Hi Lesley, it’s a good idea to do a skin test (to see if you have any allergies) on a small piece of skin before applying a lot to your scalp. For me it doesn’t feel drying on my scalp, it can feel a little sticky as it dries though. I would recommend the natural form of magnesium oil, my favourite is called Zichstein, or you can try our Scalp Elixir which contains this mag oil. If you’re gentle and use fingertips if necessary then it should be fine, in regards to the new hairs. I’m 73 years old with full male pattern baldness and I’m applying a strong homemade magnesium chloride oil on my scalp by pouring it into the palm of my hand and liberally slathering my scalp twice a day. It doesn’t take long to dry! Once it’s semi-dry, I start massaging, alternately using both hands. The sticky drying oil gives a good purchase for my fingers when I knead my scalp with the ball of my thumb, and my thumb and fingers to stretch the skin as much as possible. I’ve just been doing this for a few weeks and my scalp has become much looser and the fine fuzzy hairs “especially on the crown of my head” where I can’t remember feeling any hair for years, seem to be more numerous when I feel the top of my scalp. If it does progress to a full head of hair I’ll let you know. You’re never too old to lose hope. Is there anything that can be substituted for Emu oil? Something that is not an animal product. Castor oil, jojoba oil, Oleuropein – these might work well. Brian I had the same issue and found Greemu oil online, which has the same make up but is made with plant products. It’s only in the states, but if you email them they will ship elsewhere. Hi Will. Thank you for the great guide. I have a question. You said to leave magnesium oil on for 30 minutes and wash it off, but can I leave it on all day for more effectiveness or is that bad? What is the maximum time I can leave it on without any negative effects? Also should I wait a certain number of days before reapplying it? Thank you. There’s nothing wrong with leaving it on longer. You may find it helpful to leave it on over night, and then rinse (with water only) in the morning. There’s no reason to need to wait before reapplying again, though it’s a good idea to let your scalp ‘breathe’ at least 12 hours per day. Hi, I have magnesium oil, peppermint oil, emu oil, and rosemary oil. Can you suggest the amount of each to use? Also how long can I leave it on before washing? A good rule of thumb would be 90% magnesium oil, 6% peppermint oil, and 4% rosemary oil. You can also split the amount of magnesium oil and, instead, use 45% magnesium oil and 45% emu oil. This would look like 90mL of magnesium oil, 5mL of peppermint oil, and 4mL of rosemary oil (just as an example). You can leave this mixture on overnight. How can I buy your scalp elixir from India?? I’m sorry but we currently do not ship to India because we have had some problems with the postal service and customs. Basically the packages do not reliably arrive. Could you sell your products on Online Stores. In that case people from India too could buy these. There has to be some way. Thanks for the suggestion Vipul. We will hopefully be selling on Amazon soon. Hi Verna, sorry about that. Hopefully someone from our support team has responded by now. You can always join our Facebook group if you have extra questions. Hello, Brian I’ve been dealing with an autoimmune disease called sarcoidosis contributes to hair loss and also has wreaked havoc on the endocrine system (Hormonal Imbalances) along with cytokines being out of control as they have contributed to the inflammation of the hair follicles as well as throughout the body. And menopause to top it off. I was put on vitamin D3 because of a low diagnosis and other supplements to get inflammation under control. This condition has also caused ( anemia of inflammation) Since AI is not like regular anemia which the two could co-exist with each other it just means serum iron concentrations are low despite having adequate iron stores it’s not cured just taking iron supplements, you have to get to the root cause which is the inflammatory disease. Anyway I lost hair on top and sides of head, grew crown back, sides are still struggling (bald patches) . I liked this article on Magnesium and its usages. I personally take Trace Minerals Ionic Magnesium 400 Mg. And Life-flo Pure 100% Magnesium Oil that I spray on body after shower. Are you now selling the adjustable stamp? I’d like to buy it from you. I hope the stamp and Magnesium on scalp will help, I’ve tried everything else. Tired of looking Scalped!!? Today is March 17 and I have been putting magnesium oil on my scalp every night since the later part of October last year. I put it on every night massage it in and wash it out in the morning. My hair dresser cannot believe the difference. She just told me I wish I would have taken pictures. I use it mostly on the top of my head and even my gray hair seems to be disappearing. This is making me so happy. I’m so glad I read about this. Hello Nora, this is great to hear, thanks for your comment. So you need to shower and shampoo your hair and then shampoo your hair again after applying the Mg oil? For the last step (wash off), you can do it with just a bit of lukewarm water. Do you have to use distilled water to make the magnesium oil? Is bottled water also OK? You can purchase the MO online, that’s the easiest way to get hold of it. will ,you say put on magnesium oil i have just got the magnesium spray and put all over my scalp and rubbed in.and left on for one hour.also got magnesium flakes from health food store.just want to know can i wash off with shampoo.or should i just wash off with cool water and rinse off hair. We highly recommend rinsing with just cool water. Hello Debo, do you live in a hard water area? If so then it might be beneficial for you to install a shower filter which helps remove some of the lime scale. You shouldn’t use a shampoo every day since your scalp needs some of the natural oil build up to protect itself. Taking a magnesium supplement may help your calcification issues as well as using magnesium oil topically. can I apply the oils directly to my scalp without using them in a carrier oil? also, can I buy magnesium oil and use that with a drop of rosemary and peppermint oil, or should I make the solution you suggest? I have a daughter with very thin, dry, brittle, blonde hair (her brothers, by contrast, could have Rapunzel hair if I let it grow!). I started massaging her head with castor oil/coconut oil/lavender oil blend last year and she has a whole set of new hair growing in that is now about 1.5 inches long. I will add mg oil to her regimen in the hopes of more growth and less breakage! If I plan to use the hair growth elixir, and the wild growth oil, how would you recommend going about doing this – and how often? Can i just add them both at the same time before bed each night? It mostly depends on your schedule and when is convenient to have the topical in your hair. Before bed time is the best time for most people. Most people use it every night. In general most people agree that the longer the topical is in contact with the scalp the most impact it will have. I have not tried mixing those two products specifically so I am not sure about the results. I made the magnesium oil. But it looks a bit yellowish. Moreover, when I apply it, and when the oil gets on my fingers, my finger (the skin on it) becomes hard. I don’t know why. Is it normal? I used distilled water only (the ones used for batteries). It might be the source of the magnesium flakes rather than anything else. It’s probably better to buy pre-made magnesium oil, or just use the Scalp Elixir which has lots of useful additional ingredients as well. I just got a magnesium oil spray which says it provides 16.5mg of elemental magnesium per spray. Can you tell me how much milligram(mg) of magnesium do I need to apply on my scalp DAILY? (I’ll do the math for how much sprays it will take). I’m just scared not to apply too much magnesium on my scalp (fearing any side effect, like magnesium toxicity? I don’t know). Thank you.